Over 460 aspirants have been fielded separately by MMA, Tehreek-e-Labbaik Pakistan, Hafiz Saeed-led JuD’s political wing Milli Muslim League-backed Allah-o-Akbar Tehreek on the National Assembly seats for the July 25 general elections, The Nation reported. The Election Commission of Pakistan (ECP) has issued the final list of candidates, according to which, 3,459 candidates will contest on 272 general seats of the National Assembly. Mumbai terror attack mastermind Hafiz Saeed’s Milli Muslim League (MML) which had failed to get registered as a political party with the Election Commission of Pakistan, its candidates are now contesting on the platform of Allah-o-Akbar Tehreek (AAT). Saeed‘s son, son-in-law and thirteen (13) women are among 265 JuD candidates contesting on AAT platform in general elections on national and provincial assemblies seats across Pakistan. 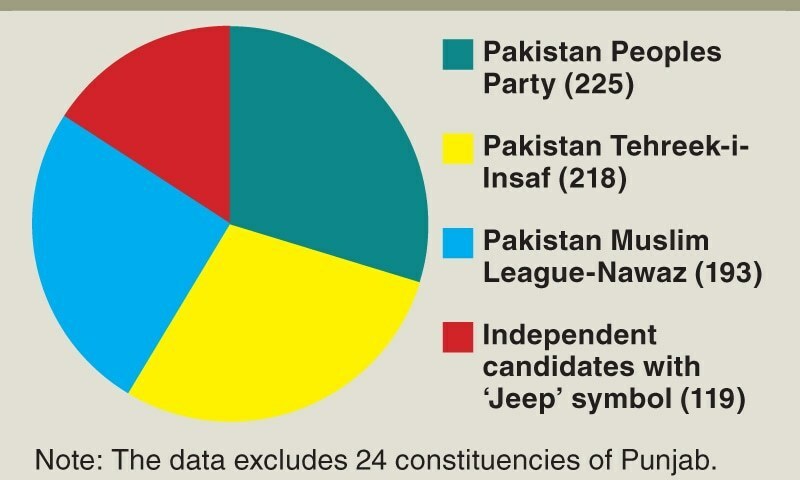 These candidates(ironically most of them with Jeep symbol) will play a decisive role in the victory and defeat of Pakistan Muslim League-Nawaz (PML-N), Pakistan Tehreek-e-Insaaf (PTI) and PPP candidates on a number of seats. The results would show total religious vote bank in Pakistan – “Islamic Pakistan“, besides putting these religious fanatics at a cushy – bargaining position with mainstream political parties in future elections. But by bringing violent radical movements into mainstream national politics has Pakistan played with fire? Increase in terrorist activity followed by further isolation on the global platform (since it’s Parliament will now constitute of terrorists) Pakistan is all set to become the terrorist capital of the world. Concerns about Allah-o-Akbar Tehreek backed by Hafiz Saeed’s Jamaat-ud-Dawa (JuD) an offshoot of the Lashkar-e-Taiba (LeT) that carried out the 2008 Mumbai terror attacks joining mainstream politics in Pakistan have put all at tenterhooks. Until now, these militant groups were Pakistani Army’s non-state actors – to carry out state-sponsored terrorism in Kashmir. The induction of JuD radicals in mainstream politics would now provide the army with more “ghost power” in deciding issues in the National Assembly. The jihadi establishment will now become a strategic partner in the National Assembly too. The list includes Saeed’s son, son-in-law, close associates, senior LeT functionaries and individuals who were placed under house arrest along with Saeed by the Pakistani government. Then, there’s the rabid Tehreek-i-Labbaik Pakistan, which has fielded more candidates than the Muttahida Majlis-i-Amal (MMA), an alliance of religious parties led by Jamiat Ulema-i-Islam chief Maulana Fazlur Rehman. Likewise, Ahl-e-Sunnat Wal Jamaat (ASWJ), a front organization of Sipah-e-Sahaba, a well-known radical party that has often targeted Shia Muslims is fielding candidates through Rah-i-Haq party. Deep state rules Pakistan is no hidden secret. 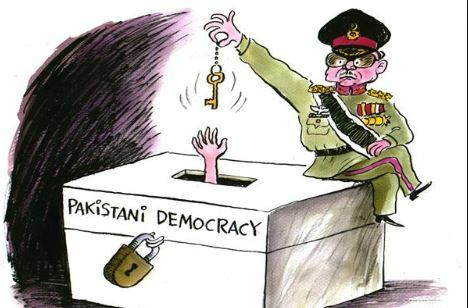 It plans to exercise control in disguise by inducting these radicalists which in turn will disallow any major single political party (mainly PML-N or PTI) to get complete control over governance is also understood by analysts within and outside the country. But by allowing terrorists/religious fanatics into the Pakistani Parliament, it has further accelerated the pace at which Pakistan was inching towards doomsday. A play “Dhanak” inspired by a short story written in the 1960s, which prophesized the rise of religious extremists had once wooed the Pakistani audience. However, are Pakistani’s who are already feeling the burden of Pakistan being declared a “safe haven for terrorist” and proudly figuring on the grey list of “FATF” etc. prepared for another tyrant dictatorship or an extremist rule? Jul 25, will mark a new Chapter and the world is closely watching & analyzing the chaos that unfolds with it. Does India require to realign its investments in Africa amidst growing China-Africa relations? DID INDIA GET JEM CHIEF MASOOD AZHAR DURING THE AIRSTRIKES?